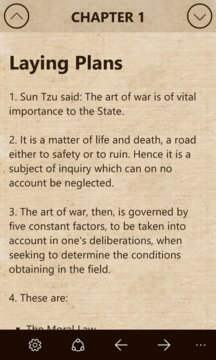 "The Art of War" is an ancient Chinese military treatise, commonly known to be the definitive work on military strategy and tactics of its time. There are business books applying its lessons to office politics and corporate strategy. The book is also popular among Western business management, who have turned to it for inspiration and advice on how to succeed in competitive business situations. 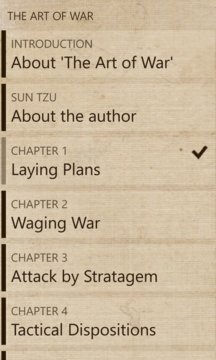 Much of the text is about how to fight wars without actually having to do battle: it gives tips on how to outsmart one's opponent so that physical battle is not necessary.